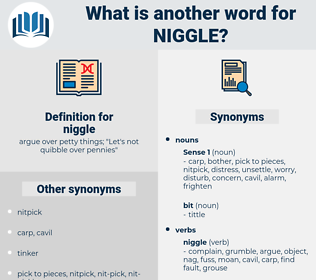 What is another word for niggle? 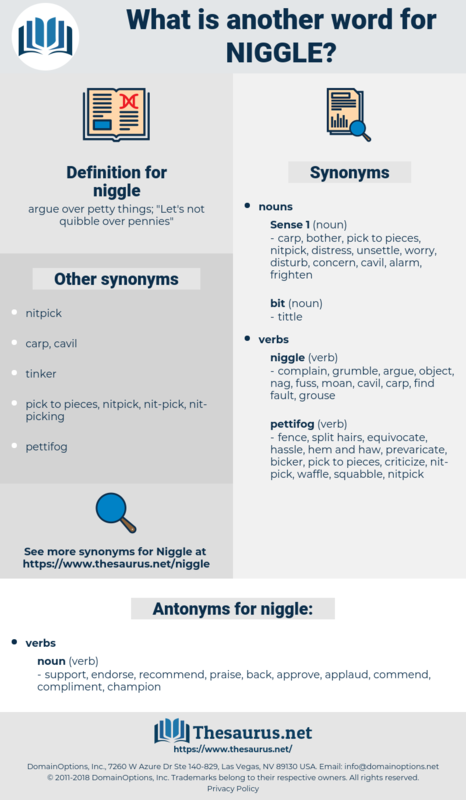 argue over petty things; " Let's not quibble over pennies"
support, endorse, recommend, praise, back, approve, applaud, commend, compliment, champion. nickel alloy, nickel, nigella, ningal, nasale, nonmusical, nosewheel, nucleole, nonsexual, noncausal, nuzzle, nonsocial, nozzle, no-goal, nacelle, nauclea, numskull, noxiously, noisily, Nei Monggol, nasal.